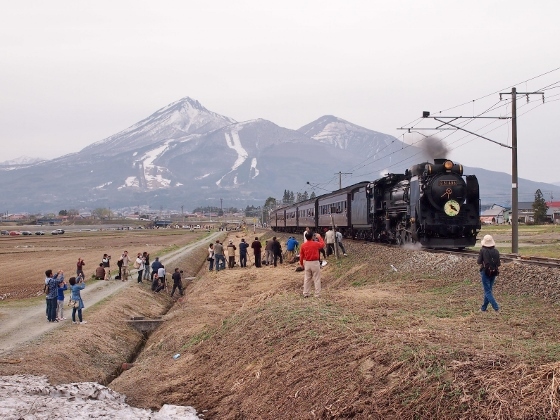 Today, the special steam locomotive train whistled through JR Ban-etsu West Line in Fukushima. This was a special event for tourist attraction. 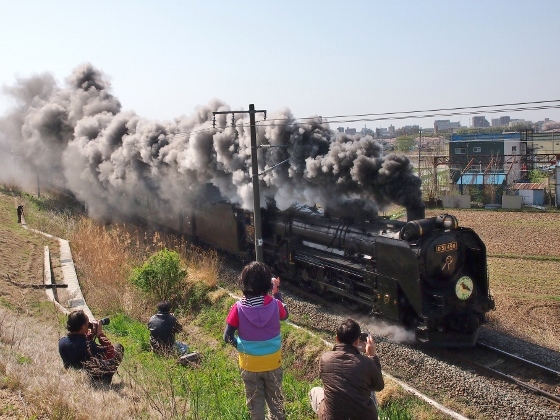 The train shuttled between Koriyama and Aizuwakamatsu Station during this weekend. 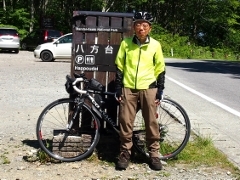 I pedaled my bike to Inawashiro Town which is located near Mt. Bandai. 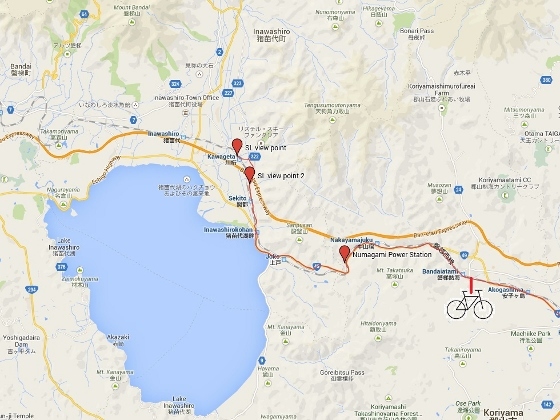 The exact route and locations are shown in the map below. The map can be scaled up and down with a click and scroll. 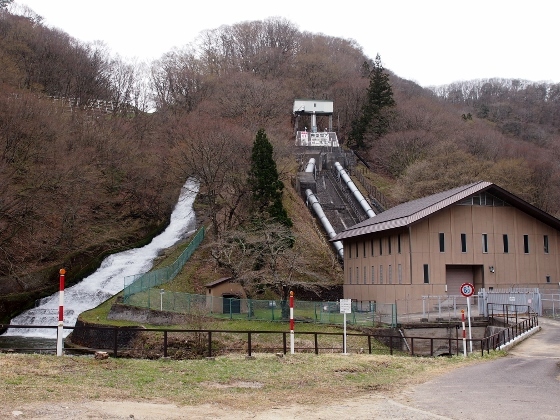 On the way to Inawashiro Town I stopped at Numagami Hydroelectric Power Station as shown above. This is an old power station established in 1899. It used water from Inawashiro Lake and provided power to Koriyama City in the early days and triggered industrialization of the city. 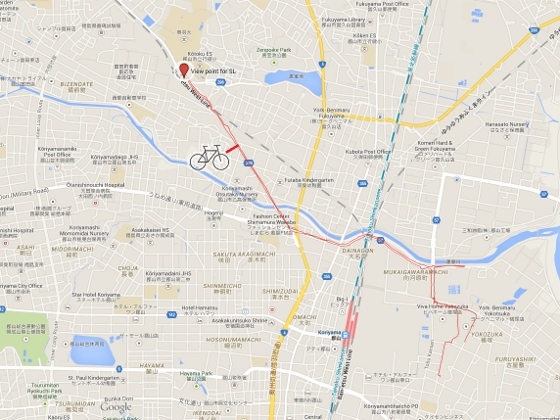 The water flow on the left in the picture is Asaka Canal which provides water to Koriyama City. Above photos are of the SL train with the background of Mt. Bandai from different viewpoints. 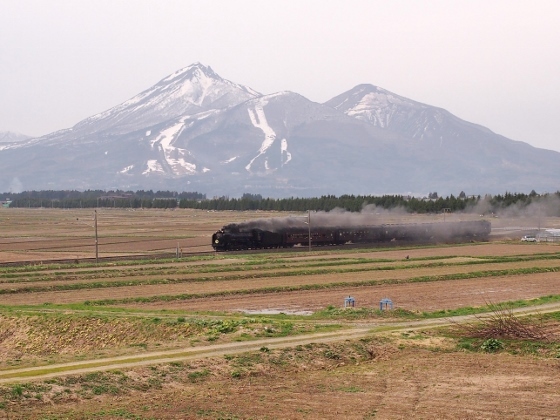 Above photo is rapid train named Aizu no.4 which passed just before the SL. 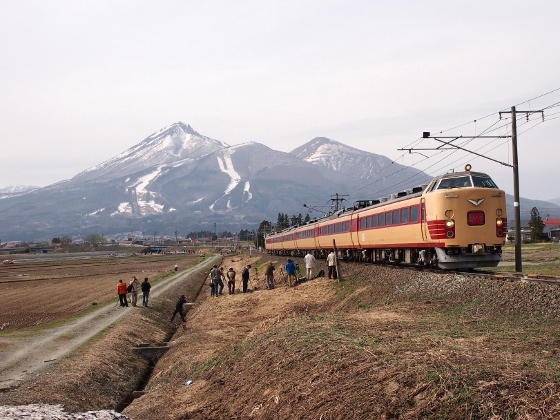 Yesterday, I watched the same SL train in Koriyama City in which I live. The exact route and locations are shown in the map below. The map can be scaled up and down with a click and scroll. Above photo is the SL train running through Koriyama City toward Aizuwakamatsu. Many people including from outside Fukushima gathered everywhere along the JR line to see the SL train. I was really amazed at the effect of the SL.